Frese Alpha DN15-DN800 | Pak Plant Ltd.
conditions. 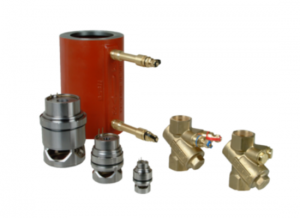 From small size valves (DN15) to big wafer types (DN800), from small heating units to sea-water district cooling applications, there is a Frese Alpha Valve that can guarantee the specified flow. The advanced patented design of the Frese Alpha Cartridges introduces the orifice plate concept for higher performance and flexibility. With the Frese Alpha Cartridges it is no longer needed to change the cartridge every time the design flow is modified. Each cartridge contains an orifice plate specific for every flow that can be easily removed and replaced by another one.